On Saturday, June 7, at 10 a.m., Goodwin College will hold its 15th Commencement exercises on the grounds of the main campus at One Riverside Drive in East Hartford. In a ceremony overseen by President Mark Scheinberg, the board of trustees, and faculty, graduating students will receive their certificates, associate degrees, and bachelor’s degree in a number of programs. This year’s guest speakers are civil rights advocate U.S. Congressman John Lewis of Georgia and legendary UConn basketball coach Jim Calhoun. Lewis’ participation is especially fitting as it coincides with the 50th anniversary of the Civil Rights Act of 1964. Each guest speaker will have the opportunity to address the graduates after receiving an Honorary Doctorate of Humane Letters from the College. Often called “one of the most courageous persons [of] the Civil Rights Movement,” Congressman John Lewis has dedicated his life to human rights. Inspired by the Montgomery Bus Boycott and the Rev. Martin Luther King, Jr., he joined the Civil Rights Movement, organizing sit-ins at segregated lunch counters and participating in the Freedom Rides. At the height of the Movement, Lewis was named Chairman of the Student Nonviolent Coordinating Committee. At 23, he was a keynote speaker at the historic March on Washington. In 1965, Lewis helped spearhead one of the most seminal moments of the Civil Rights Movement, leading over 600 peaceful protestors across the Edmund Pettus Bridge in Selma, Alabama, to demonstrate the need for voting rights in the state. The marchers were attacked by state troopers in a brutal confrontation that became known as “Bloody Sunday.” News broadcasts and photographs of the event helped hasten the passage of the Voting Rights Act of 1965. Despite myriad arrests and physical attacks, Lewis remained an advocate of nonviolence. He continued his commitment to the Civil Rights Movement as Associate Director of the Field Foundation and through his participation in the Southern Regional Council’s voter registration programs. Lewis went on to become the Director of the Voter Education Project, adding nearly four million minorities to the voter rolls. In 1977, John Lewis was appointed by President Jimmy Carter to direct more than 250,000 volunteers of ACTION, the federal volunteer agency. He was elected to Congress in 1986 and has served as U.S. Representative of Georgia’s Fifth Congressional District since then. He is Senior Chief Deputy Whip for the Democratic Party, a member of the House Ways & Means Committee, a member of its Subcommittee on Income Security and Family Support, and Ranking Member of its Subcommittee on Oversight. Jim Calhoun arrived in Connecticut in 1986, hired to turn around the UConn men’s basketball program. Calhoun not only turned it around, he raised it to one of the nation’s pre-eminent athletic programs. Calhoun has served the community off the court as well, using his success to champion many causes. He and his wife, Pat, are well known for their philanthropy including the Pat and Jim Calhoun Cardiology Center at UConn and the annual Jim Calhoun Holiday Food Drive, which has raised nearly $1 million to support food assistance agencies that serve families in need throughout Connecticut. In 1998, a $125,000 gift from the Calhouns established the Jim and Pat Calhoun Cardiology Research Fund at the UConn Health Center. Since then over $9 million has been raised. The Jim Calhoun Celebrity Classic Golf Tournament was launched in 1999 and has since raised millions in support of the endowment fund. In 2003 and 2004, Calhoun served as celebrity host of “Hoops For Hope” by Coaches vs. Cancer, a program established by the American Cancer Society, raising over $400,000. The Big Y Jim Calhoun Cancer Challenge Ride statewide event benefits The Carole and Ray Neag Comprehensive Cancer Center at the UConn Health Center. For many years, Calhoun has been the Honorary Chairman of the Juvenile Diabetes Foundation, which has generated over $4.5 million to fund diabetes research. Calhoun has also served as an Honorary Chairperson/Director for other charitable programs including the Ronald McDonald House Kids Classic Golf Tournament, the Ray of Hope Foundation Golf Tournament, the Connecticut Children’s Medical Center and Children’s Miracle Network, and the “Character Counts” program in Connecticut. 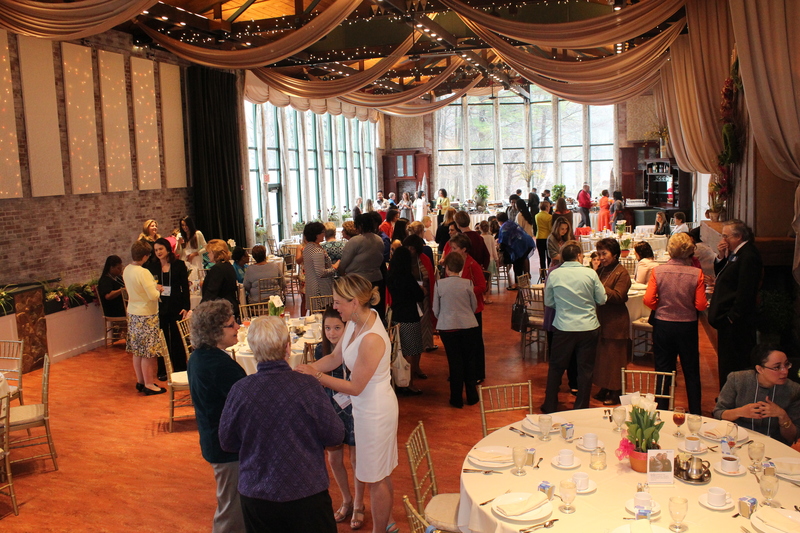 On Saturday, April 26, a heartwarming gathering of mothers, daughters, sisters, colleagues, and friends came together at the Pond House Café in West Hartford for Real Women, Real Life, a brunch event to benefit Goodwin College scholarships for women. Proud of the women that account for 82% of its current student population, Goodwin values the dreams of students and acknowledges their struggles. A wonderful spirit of camaraderie and excitement was in the air at the event, noted Brooke Penders, Vice President of Advancement at the College. “Today we are here to appreciate real women dealing with real life. We are here to celebrate all of the women who make it possible — those who challenge us, support us, and love us,” Penders stated. The brunch concluded with feelings of gratitude and empowerment. “Too often we see women bringing each other down. Today we are celebrating women and building each other up. It is amazing what we can accomplish when we support each other,” Penders stated. Goodwin College sincerely thanks everyone who came to support the resilient, strong women who help define the College’s mission. The event was a great success due in large part to the immense support of donors and friends of the College. Goodwin hopes to continue to facilitate a supportive, positive environment for real women in real life. 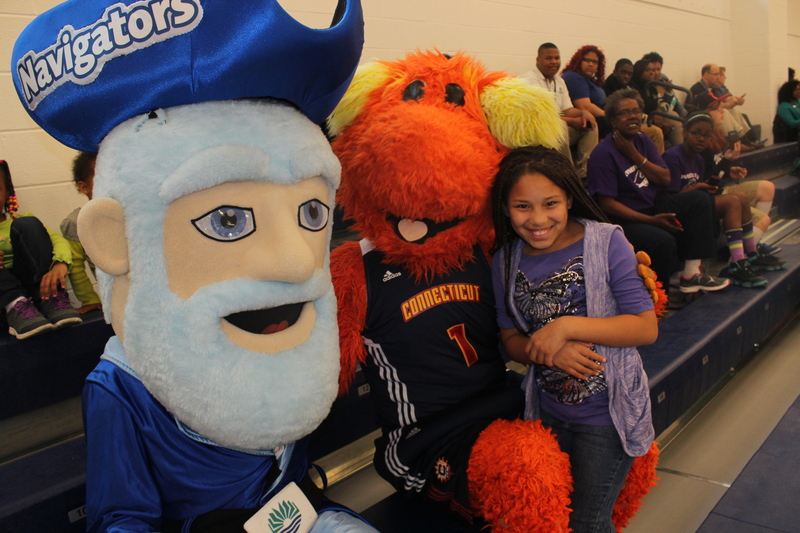 Over 200 excited Connecticut Sun fans packed the gymnasium of the Connecticut River Academy at Goodwin College on Tuesday, May 6, to see the state’s only major professional sports team practice, meet the public, and celebrate the beginning of the new season. Academy students hosted the open practice at their school, relishing the chance to watch professionals play on their home court. The team’s response? “‘Maybe in a week, when you’re ready,’” Roberts said. Team members handing out prizes to the crowd of fans. Roberts is just one of the students participating in CTRA’s inaugural Amateur Athletic Union basketball league, which Principal Linda Dadona said is helping to connect students who come to the Academy from 42 different Connecticut towns to the local Goodwin community. The CT Sun has a longstanding relationship with Goodwin College, according to Todd Andrews, Goodwin’s Vice President of Economic & Strategic Development. In 2012, the CT Sun Foundation made a $20,000 contribution to the school for the creation of a scholarship to support adult students returning to school to complete degrees. “They were aware we opened a new facility,” Andrews said of the Sun’s decision to practice at the Academy. “And they have a lot of fans in this area. 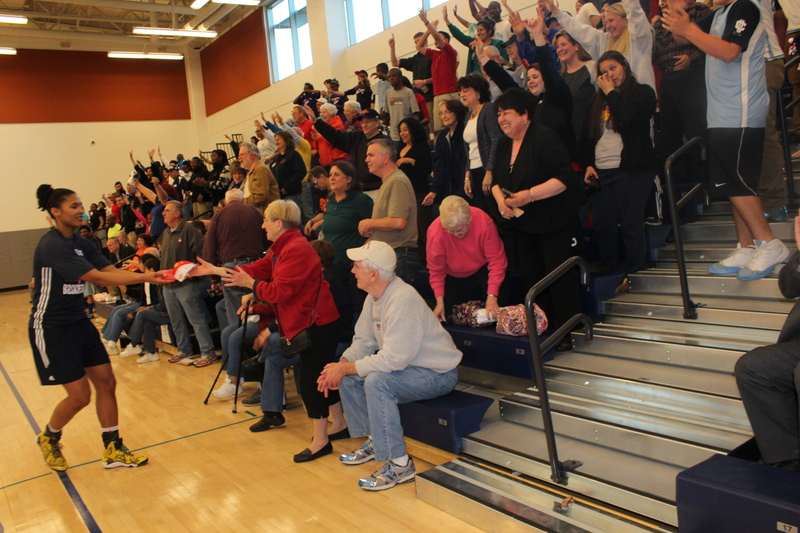 Connecting with local fans is why the team holds open practices, Head Coach Anne Donovan said. As the team signed autographs for eager fans old and young, Donovan beamed. 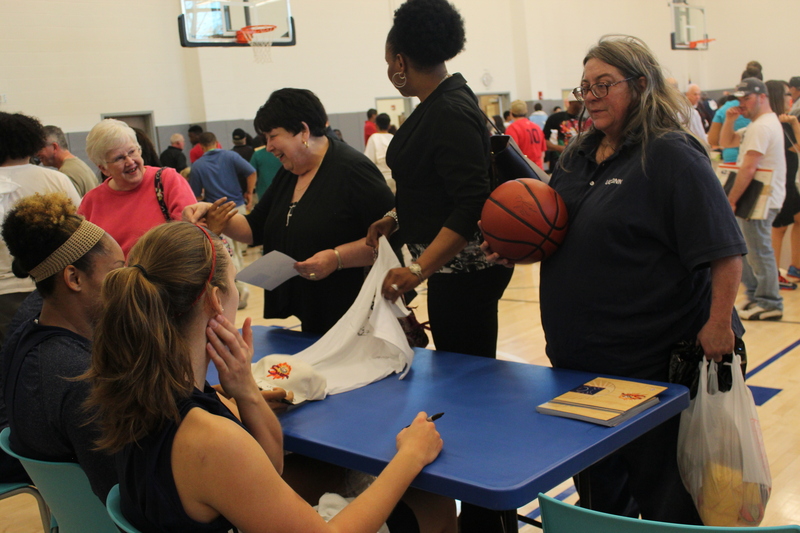 After practice, fans stood in line for autographs. The Sun begins their 12th season at Mohegan Sun Arena on May 16th against the New York Liberty at 7 p.m. Season tickets and mini plans are on sale now, and can be purchased by calling a Sun Ticket Representative at 1.877.SUN.TIXX (786-8499) or via email at tickets@connecticutsun.com. To purchase season tickets online, visit http://bit.ly/sunseason14. Mini plans can be purchased online at http://bit.ly/miniplans14. Click here to see our photo album on Flickr! 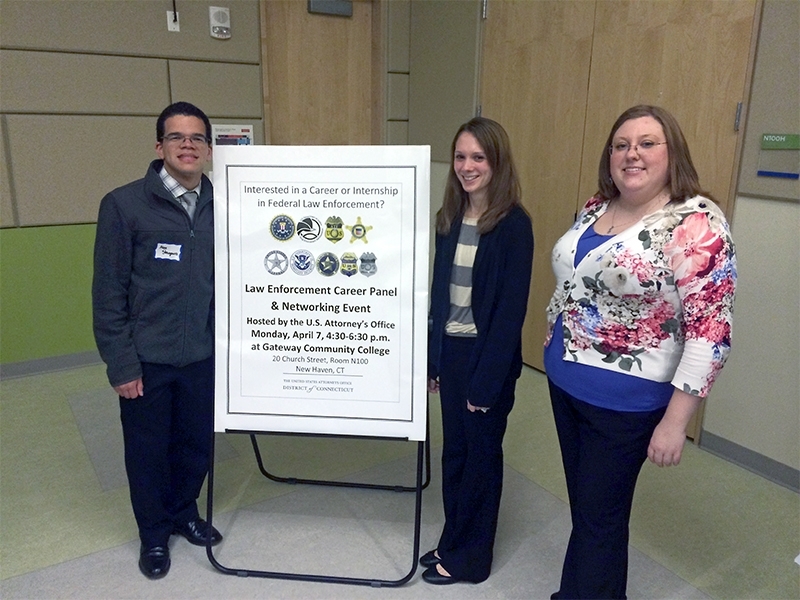 On Monday, April 7, Goodwin College’s Career Services team accompanied several students to the Second Annual Federal Law Enforcement Career Panel and Networking Event in New Haven. The program began with a panel featuring United States Attorney for Connecticut Deirdre Daly and several agency heads. 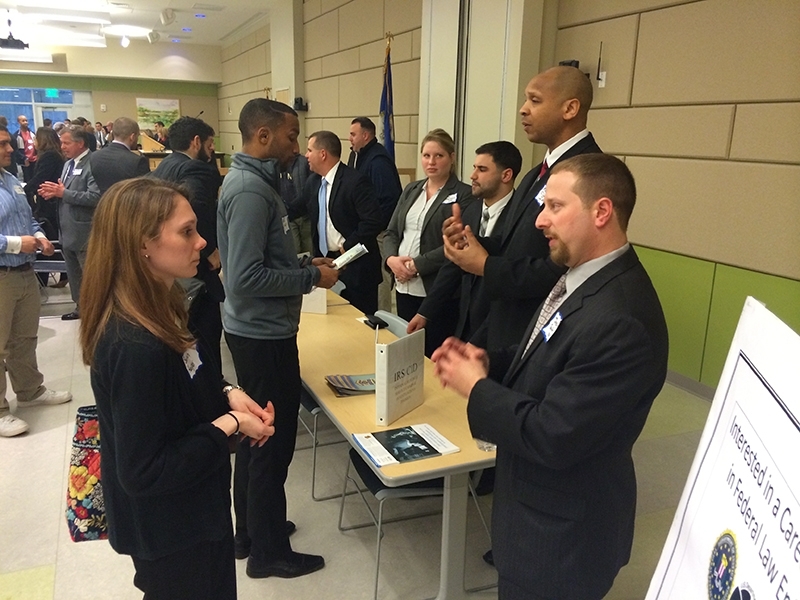 Following the discussion, students from Connecticut colleges were able to network with agencies including the FBI, DEA, and Secret Service. In a bold and unusual leap from learner to instructor, Bruce Hoffman went from Goodwin Nursing student to nursing faculty member at Springfield Technical Community College. While in school, Hoffman, a registered nurse and licensed paramedic, elected to take a course abroad in Haiti, a devastated country desperately in need of quality health care. He immersed himself in the unfamiliar culture in hopes of learning, growing, and sharing his knowledge with others. With his experiences in Haiti now part of his working knowledge in health care, Hoffman has been able to bring a level of invaluable expertise to his work. With a teaching style that’s direct, deliberate, and fair, Hoffman holds his students accountable. “We have 60 days [in an Associate Degree nursing program] to prepare our students clinically and to become functioning nurses; it’s not a field where you can sit back and relax. We have to move quickly and efficiently. As an educator, Hoffman demands excellence from his students. “You have to be dedicated and motivated. Bruce gives us constructive criticism and feedback as we learn,” another student added. Hoffman is currently pursuing his master’s degree online in Educational Leadership at Western Governors University. His dedication, energy, and desire to continuously learn set a great example for his students to follow. Nursing is a career for the compassionate and kindhearted. “You can’t teach somebody to care, but you can facilitate and promote it. Nursing students need to have an innate desire to care for others, and I can help them foster that and be great,” Hoffman stated. Goodwin College prides itself on its family-like environment, and in some unique cases students are actually related. Family members Briana Camacho, Charlene Gross, and Tarisha Gross are wonderful examples of what makes Goodwin a special place to learn and grow. 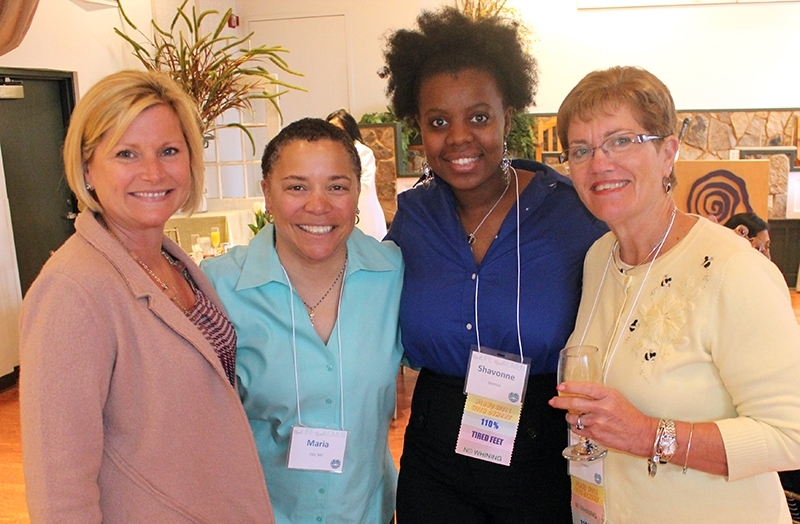 After Tarisha came to the College in 2012 to study Human Services, she encouraged her sister, Charlene, and niece, Briana, to consider Goodwin as well. “The environment at Goodwin is mature and focused. The professors here lead and guide you — they have given me insight. All the resources you need are here,” Tarisha commented. Briana Camacho completed Goodwin’s Summer Bridge program, designed to bridge the gap between high school and college. Summer Bridge prepared Briana well for her college experience. “Summer Bridge taught me how to be responsible. I wouldn’t be as focused at any other school,” she said. Now enrolled in General Studies, Briana hopes to be accepted into the Nursing program. “Nursing is a competitive program. I need to give it my all.” She is also a member of WISE (Women Invested in Securing an Education), which promotes the academic and personal success of women from disadvantaged backgrounds. She receives valuable support through WISE and has formed wonderful connections. 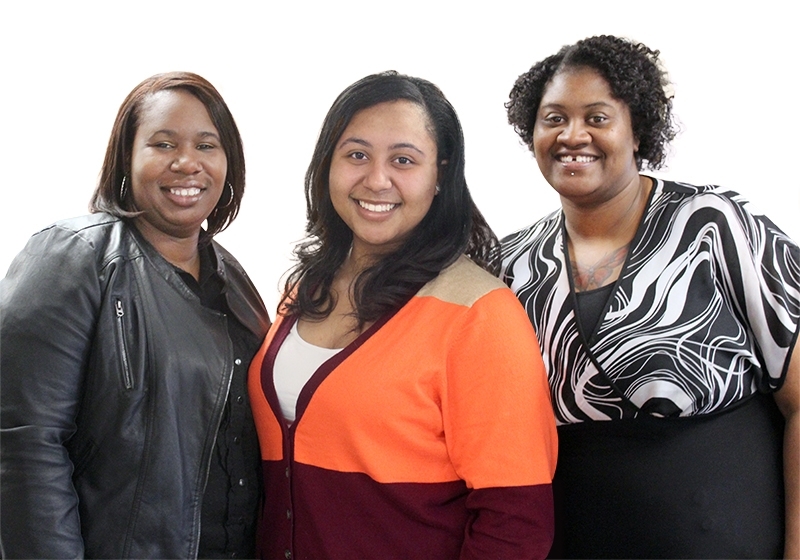 Tarisha, Charlene, and Briana support and encourage one another in pursuing their dreams. “We talk about our classes and experiences. My mom and aunt have given me a lot of insight,” Briana stated. It’s fairly common for various generations to attend the same college, but it’s rare that family members attend at the same time and at various ages. Goodwin College fosters learning regardless of age and hopes that stories like this inspire others to take the leap into bettering their lives through education. 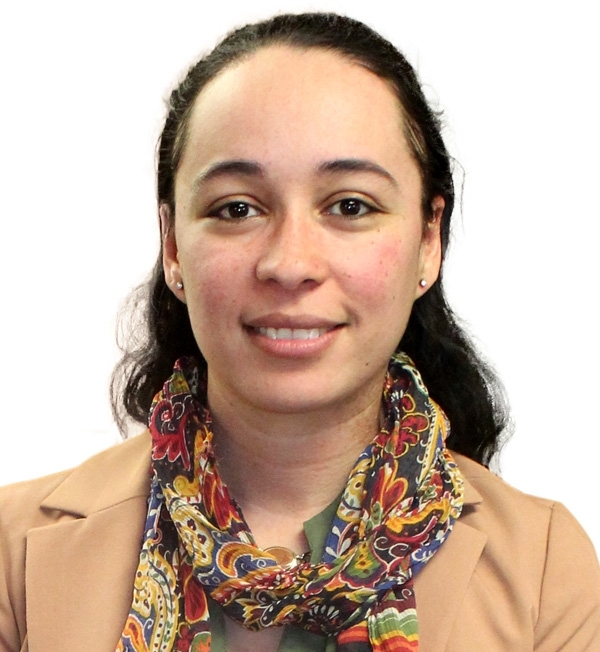 Gladys Mercado, a 31-year-old student at Goodwin College, enrolled in the Human Services program to better the lives not only of her three children, but those she will affect in her career as a Human Service professional as well. 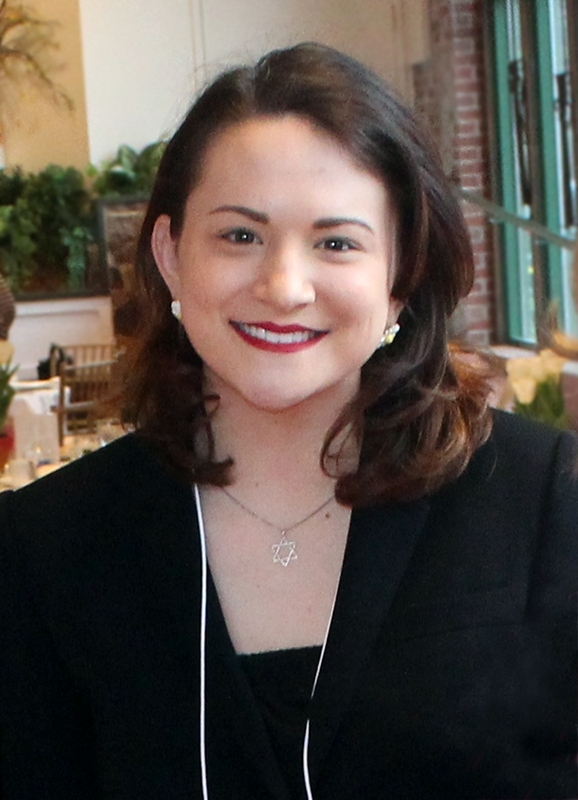 As a mother, college student, member of multiple honor societies, and full-time district aide for Congressman John B. Larson, Mercado dedicates herself to each facet of her life and has a clear vision for her future. Mercado’s return to school helped support her promotion from staff assistant prior to district aide at the Congressman’s office. “Being a district aide allows me to do what I am truly interested in, case work. I’m able to work with populations I’m passionate about helping,” she stated. Mercado believes in President Scheinberg’s vision for the College. “Goodwin has a wonderful reputation, vast support services, and is constantly growing and expanding. The faculty equips you with the skills and confidence to land a job in your field,” she noted. From tempting the palettes of diners to caring for the well being of her patients, Shavonne Overton has gone from culinary school graduate and pastry chef to Goodwin College nursing student. Changing careers, although intimidating to most, has proved seamless for Overton. Moving in 2009 from New York City to Connecticut, Overton was offered a job at a restaurant, which unfortunately went out of business soon after, leaving her unsure of where to go and what to do next. “I realized it was time to go back to school,” she recalled. Realizing it would take a leap of faith, confidence, and dedication to put her on the right path, Overton embraced the change. On Wednesday, April 9, Goodwin College and Hartford Public Schools held a ceremonial ribbon cutting to mark the opening of the Pathways Academy of Technology and Design in its new, permanent home on the Goodwin campus, following 11 years in a temporary space in Windsor, Connecticut. Students, faculty, parents, local and state dignitaries, and members of the media gathered in the Academy’s brightly colored auditorium and cafeteria for the celebration. The Academy is operated by Hartford Public Schools in a unique partnership with Goodwin College. The building is now serving more than 320 students and features state-of-the-art learning spaces including science labs, a robotics lab, design studios, a virtual reality simulator, and a recording studio. Alan Kramer, dean of magnet schools for Goodwin, noted that this permanent home for Pathways would never have become a reality without all parties working together. “Everyone involved wants to support the students and their education,” Kramer stated. Pathways has been recognized in the past for its excellence as a magnet school in and is currently in competition to be named top magnet school in the country — a cite visit scheduled for a few days after the opening. Goldblum noted that the biggest reason for Pathways’ success is its students. Pathways student Darin Herrera spoke of his school with great pride. “Moving from the old school, which was one story and lacked space, to this new building has been phenomenal.” In thinking of the upcoming competition, he urged his fellow students: “Let’s show them we’re the best!” This kicked off yet another ovation from the students and guests. Glen Peterson, division director of the Regional School Choice Office, stated that while magnet schools’ main focus is education, their importance to society goes even further. “Magnet schools were created to remove racial, ethnic, and cultural discrimination and to blend students together,” he said, asking everyone to look around the room and appreciate the diverse makeup of the Pathways students. A building does not define a school or its students, but it is certainly fitting that the Pathways scholars now have a building that reflects their hard work, energy, and creativity. Welcome to the Goodwin family! 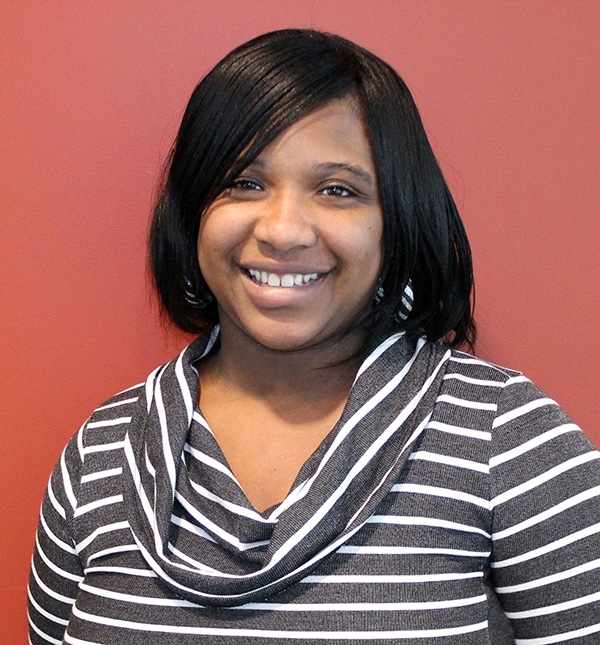 Senita Pinckney’s journey to Goodwin College was not an easy one. 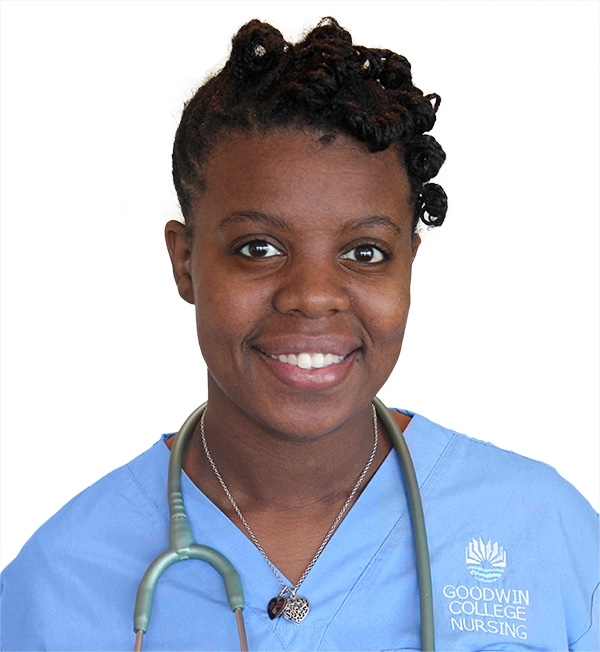 After being involved in a car accident leaving her with permanent damage, she was unable to continue with Goodwin’s nursing program so she forged a new path. 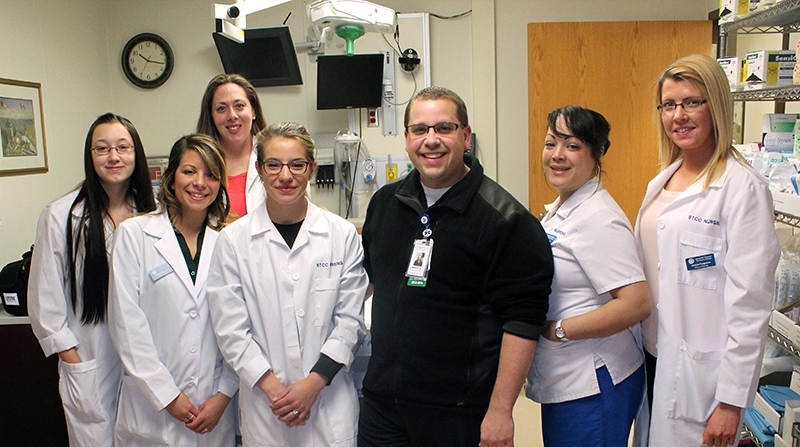 “I was in my senior year of the nursing program at Goodwin when I got into an accident. I couldn’t carry my body weight, which is a requirement of being a nurse,” Pinckney said. After taking a year off to reassess her goals and identify a new career path, she came back to Goodwin to study Human Services with a newfound focus and determination. Although Pinckney would no longer be working in a hospital setting, she would still be providing support and assistance to those in need. “I always knew I wanted to help people — now I help people in a different way,” Pinckney commented. Although Pinckney has had her share of life challenges, fitting in an education has always been manageable for her. She has been working at MetLife as a disability case manager for the past seven years while attending school. She also volunteers at Crossroads Community Church as a youth leader. An unexpected accident changed the direction of Pinckney’s future, but she ended up right where she is meant to be.